Copyright © 2014 Jake Harper - This image is copyrighted. Unauthorized reproduction prohibited. 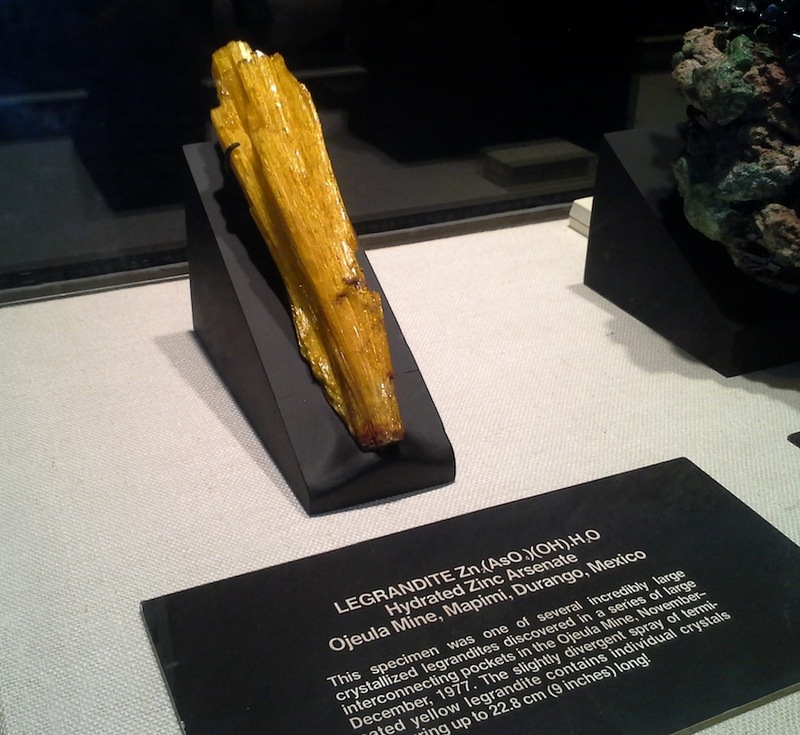 Sharing space withe the Newmont azurite in the large well lit case is the equally famous "Aztec Club" legrandite. This is one of those iconic mineral specimens that every collector ought to see at least once. Don't stare to long though, like the sun, this glistening divergent 9" long spray might just burn your retinas - like it did mine!